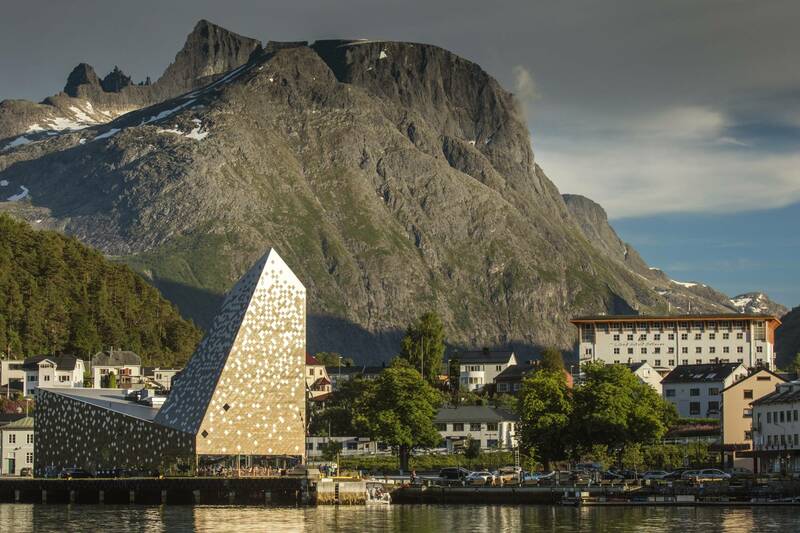 The Norwegian Mountaineering Centre (Norsk Tindesenter) is a brand new visitor center in Åndalsnes focusing on Norwegian mountaineering history and mountain adventure sports. Start your visit by watching our film "Trollfolk" (all languages) from the Romsdal surrounding, and see what great activites are done here. The story incorporates a fairytail story with animation that is sure to keep everyone interested for the time the movie lasts (15 min). The moviescreen itself is 3D, simulates a rock wall, and reaches from floor to ceiling. 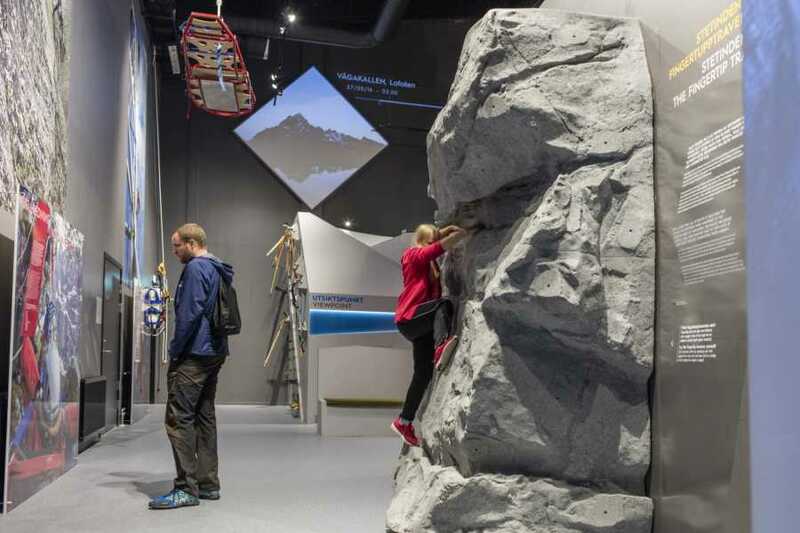 After the movie you can continue your visit on 2nd floor, and explore the new and modern exhibit of the Norwegian mountaineering museum. 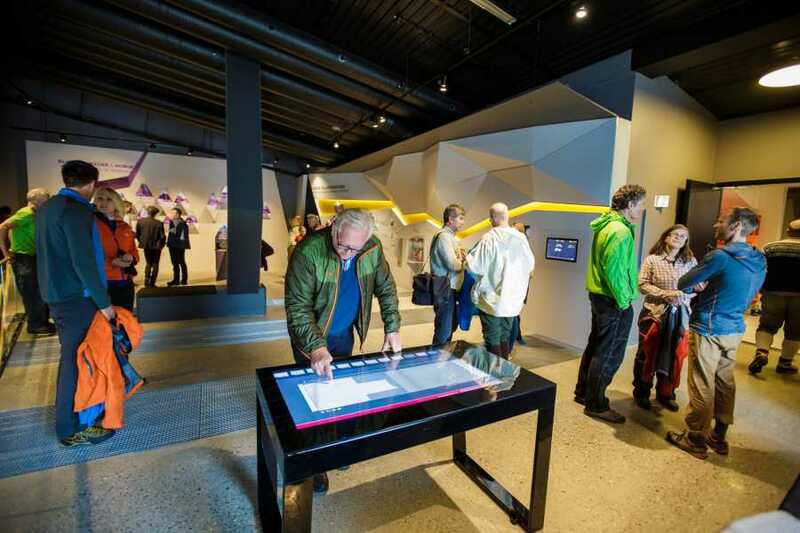 The exhibit features several interactive stations, different activites to try, videos, photos, documentation as well as a shadow theatre film to finish up with. All texts/videos are in Norwegian and English language. 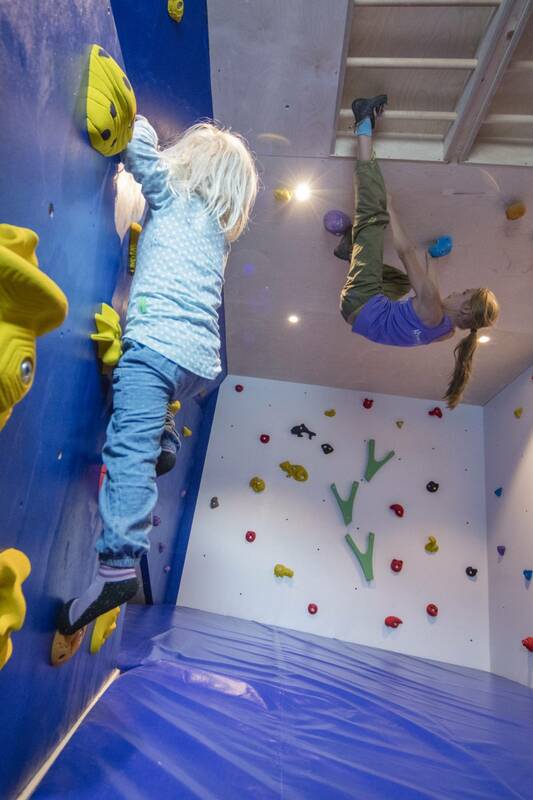 In the tower of the building you`ll find Norway`s highets indoor climbing hall. 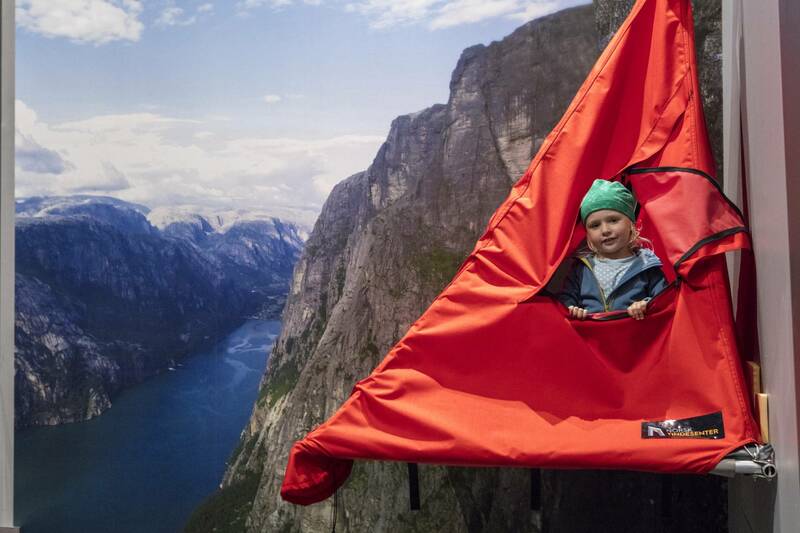 Here you can watch people climb of even give it a go yourself. 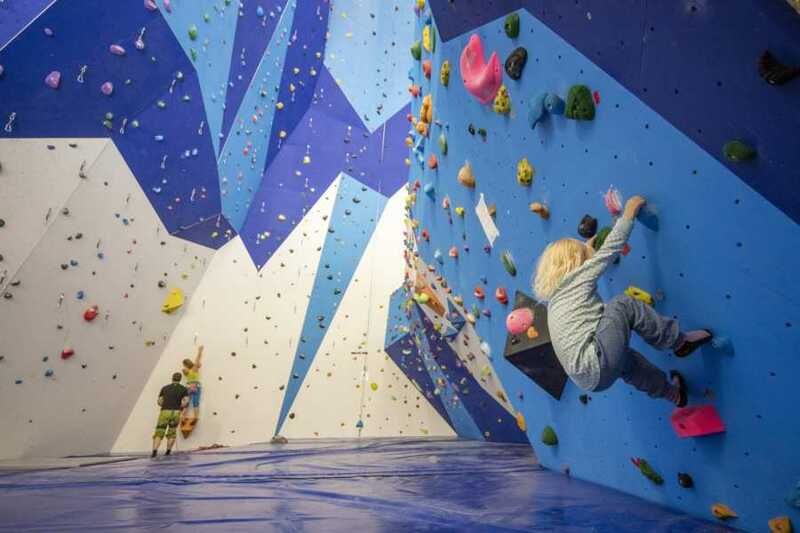 With 60 climbs spread over 20 anchors, there is plenty of scope whatever your ability. 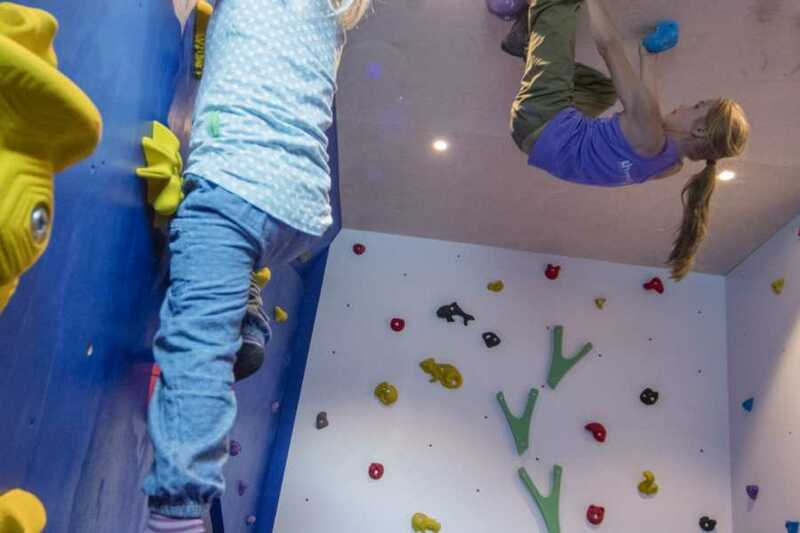 For the little ones (3 yrs +) we have a nice wee bouldering cave that can keep the smalles ones occupied for hours. Guided tours of the museum available upon request. Daily guided tours at 3 p.m.